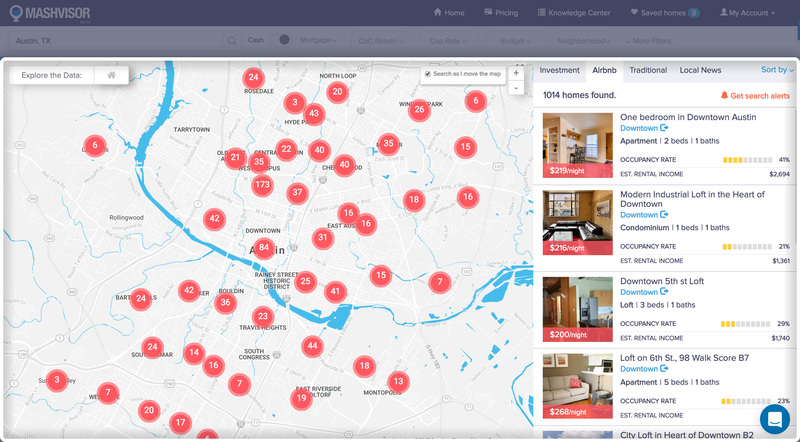 Use predictive real estate analytics to find cost-effective investment properties in a matter of minutes. No more tiresome spreadsheets, no more daunting research. 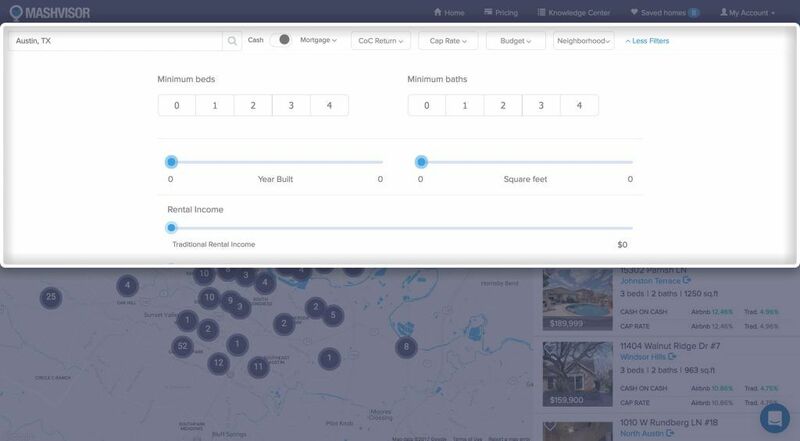 Budget filter – find properties that are affordable based on your own investing budget. The rate of return filters – filter out properties that do not meet your criteria based on their cap rate and cash on cash return values. 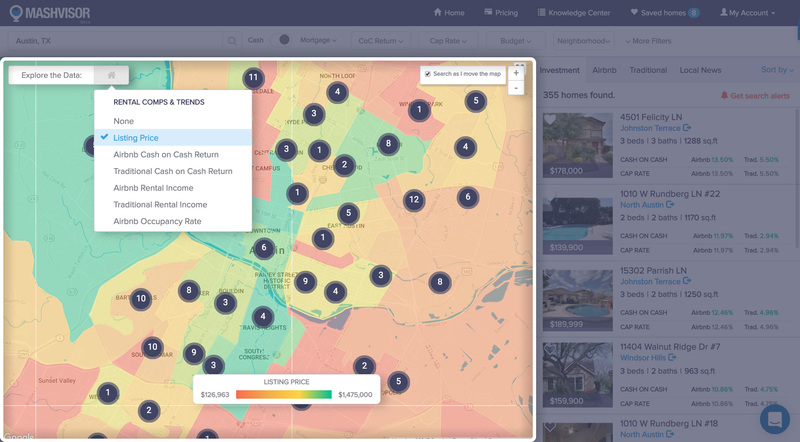 Neighborhood filter – decide which neighborhoods you want to invest in and look for properties in these specific neighborhoods. Property type filters – filter out properties based on their type, size, year built, and other features. 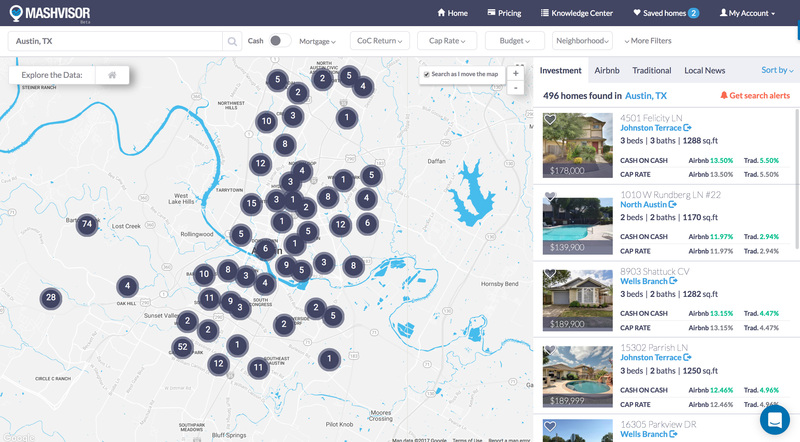 Property status filter – set the status of properties that you want to show on the map between foreclosures, sold, and pending investment properties. What Types of Investments Can You Make with Mashvisor? Short-term and Airbnb rental properties. Buy and hold investment properties. 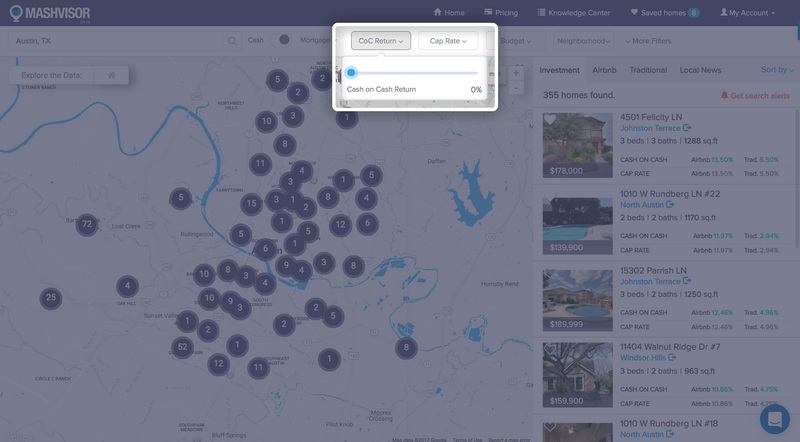 Using our property filters to find investment properties that have the status of “for sale” allows the user to quickly navigate the map to find properties that are available for sale which can then be used to turn into any other type of investment property. Properties for sale can be used for any investment strategy depending on their location, type, and projections. 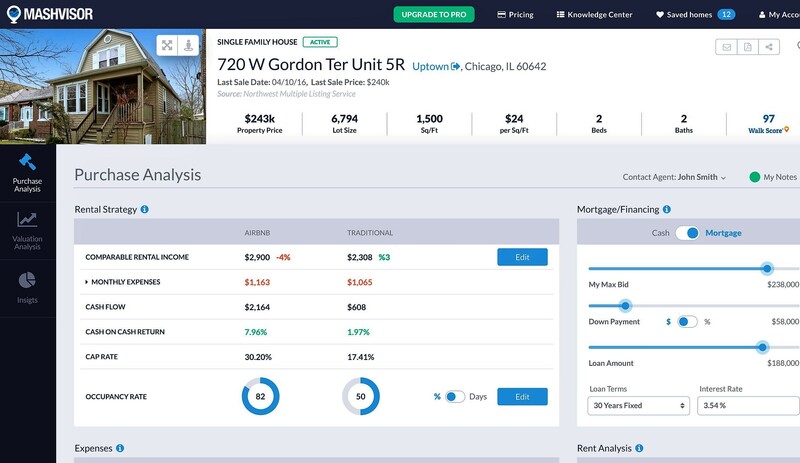 Whether you’re interested in rental or income properties, a fix-and-flip, or a buy and hold, this filter allows you to find all sorts of properties. Finding properties that are pending or that are sold can be very beneficial for many real estate investors. A real estate investor can get in touch with the current owner of a pending or sold property in order to obtain additional invaluable data or even to negotiate an off-market deal with the new owner of a sold property. 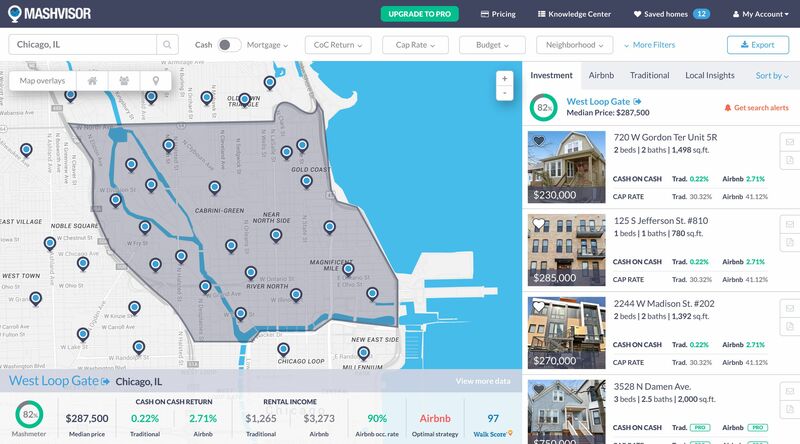 Obtaining data on pending properties, such as the duration for which they have been listed on the market, can allow the investor to understand why these properties are not selling and try to adjust their own strategies accordingly. While sold properties can be targeted by real estate investors for an off-market deal without having to compete with all the other real estate investors out there. Due to their relatively low prices and their typically high requirements for maintenance and renovation, foreclosed properties are the top choice of real estate investors looking for a fix-and-flip investment in the market. 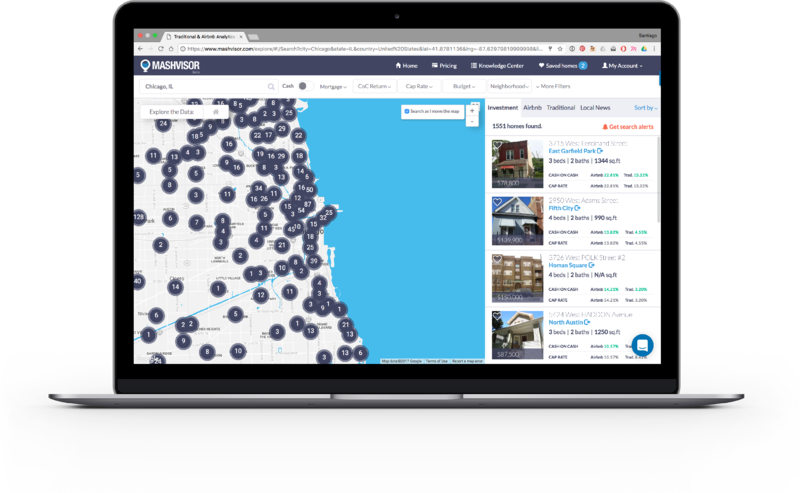 Using our filters, users can now find properties that have been foreclosed, allowing them to easily find opportunities within the market for their next fix-and-flip investment. This also includes all the typical data and information that you would get for any other investment property, such as the projected cap rate and cash on cash return, in addition to the estimated costs and expenses needed to renovate and run the property. Cap rate for both traditional and Airbnb rental properties. Cash on cash return for both traditional and Airbnb rental properties. Rental income for both traditional and Airbnb rental properties. The occupancy rate for Airbnb properties. The median price of investment properties. The expected costs and expenses for each investment property. Average cap rate for traditional properties. Average cap rate for Airbnb properties. Average cash on cash return for traditional properties. Average cash on cash return for Airbnb properties. The optimal rental strategy for each neighborhood.